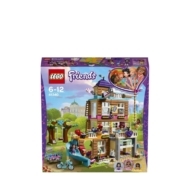 - Includes Olivia, Emma and Andrea mini-doll figures, plus Dash the dog, Rumble the hamster and Cinnamon the bunny figures. - Features a 4-story converted fire station building with a garage, kitchen, living area, bedroom, roof terrace, performance terrace, side balcony with barbecue, working pulley system, mailbox, spinning fireman's pole and a slide, plus a friendship tree with swing and a bicycle with trailer. - Garage features a hamster wheel and tube system. - Kitchen features a refrigerator, microwave, sink, cooker and worktop. - Living room features a craft table with 5 stools and opening cupboards. - Bedroom features 5 beds and a double-sided TV screen/secret mission screen. - Roof terrace features a hot tub, juice bar, music dock and a lookout tower with ladder and telescope. - Accessory elements include 2 walkie-talkies, tools, guitar, popcorn, pizza, teapot, washing-up liquid bottle, craft box, scissors, artwork tiles, 5 fabric blankets, mp3 player, cocktail glasses and a carrot. - Hangout at the Friendship House with the girls from Heartlake City and enjoy a relaxing day listening to music in the hot tub, doing crafts with Emma, or cheering on Andrea’s latest musical performance with this popular kids’ toy. - Use the working pulley to help lift supplies into the house. - Jump into action when a mission comes in, spin the TV in the bedroom around to see the secret mission screen, and formulate a plan to save the day! - Slide down the fireman's pole, jump on the bike and speed off with Olivia’s trailer full of tools. - Watch the hamster go round on his wheel, give the dog a little swing under the friendship tree, and feed the bunny a juicy carrot. - Suitable for 6-12 years. 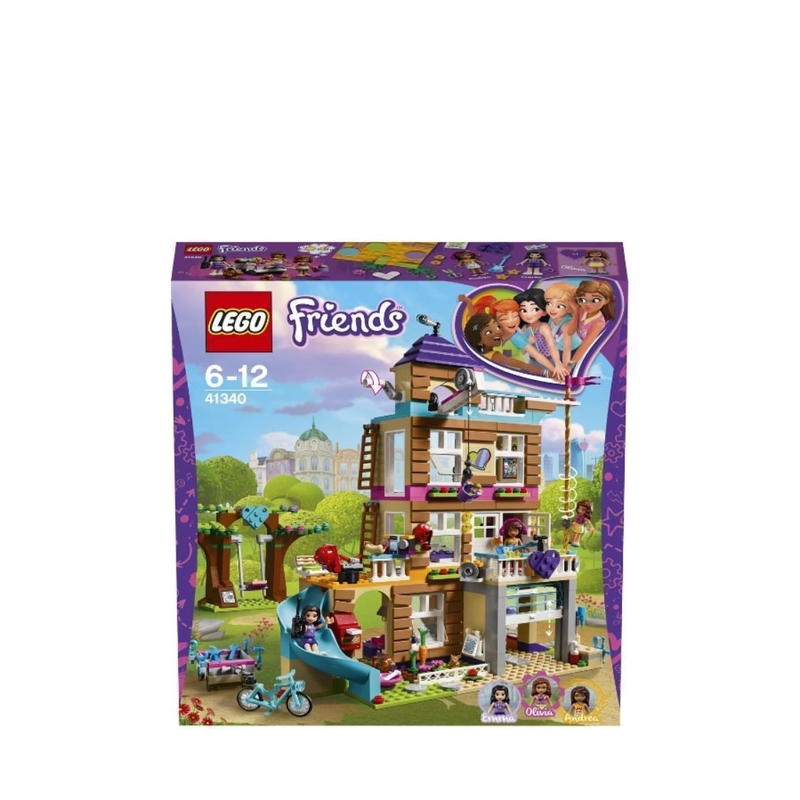 - Friendship House measures over 11” (30cm) high, 9” (24cm) wide and 4” (12cm) deep. - Friendship tree measures over 3” (10cm) high, 7” (19cm) wide and 1” (3cm) deep. - Bicycle with trailer measures over 3” (10cm) long, 1” (4cm) wide and under 1” (1cm) high. - Park 41330 Olivia's Mission Vehicle in the garage, ready for even speedier rescue missions!